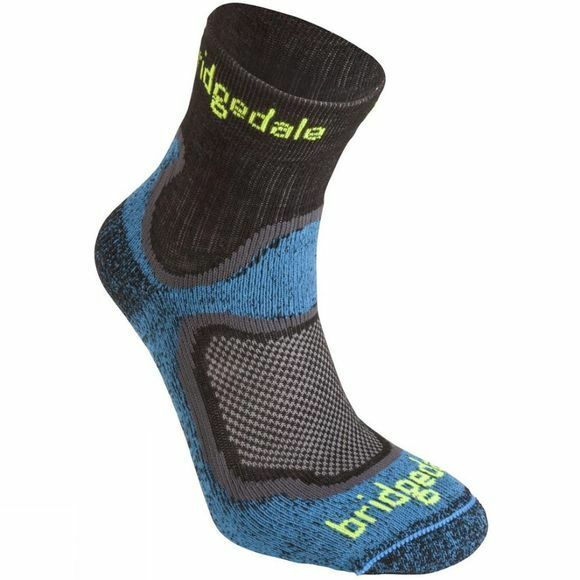 The Men's CoolFusion Run Speed Trail Sock features Bridgedale's T2 anti-compression padding at key pressure points for impact protection. It is also super soft next to the skin to create a lightweight sock that offers excellent performance to ensure your foot feels comfortable and is surrounded by a healthy and breathable enviroment. Perfect for high energy activities.